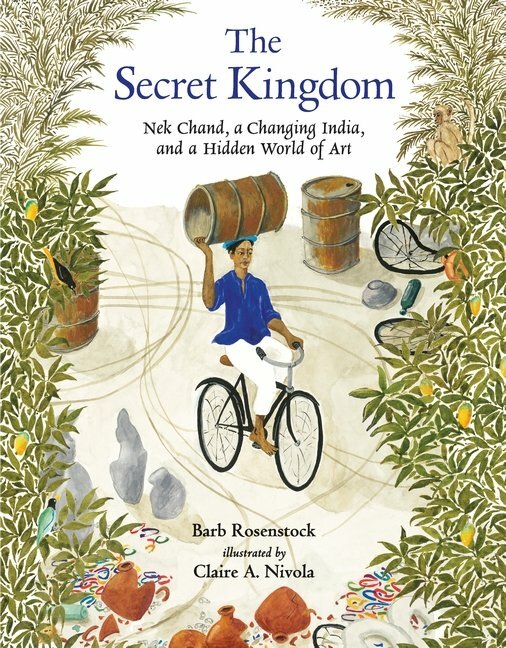 The very first line of THE SECRET KINGDOM: NEK CHAND, A CHANGING INDIA, AND A HIDDEN WORLD OF ART written by Barb Rosenstock and beautifully illustrated by Claire A. Nivola, is so lilting, so rhythmic, you know you’re in for a treat before you even turn the page. The book tells the true tale of folk artist Nek Chand. In the small village where Chand is born, recycling and repurposing objects is a way of life. Dented buckets become scarecrow hats. Scraps of fabric become blankets. Sticks become toy rafts. And woven throughout the texture of daily life, there are stories. 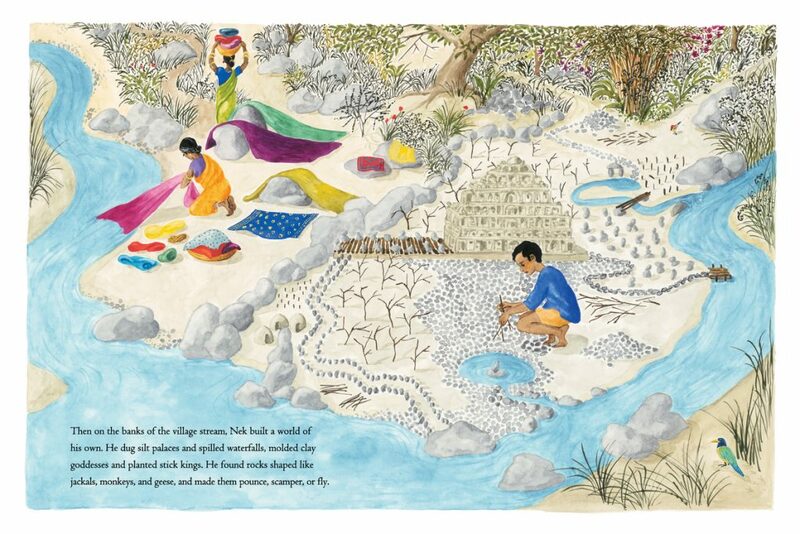 Stories of kings and goddesses, geese and monkeys, jungles and temples fill Chand’s imagination until one day, using sand and sticks and rocks, he builds the world of his imagination on the banks of a river. When partition splits India into two countries, however, Chand and his family are forced to leave their village behind for the cold concrete of India’s first planned city, Chandigarh. 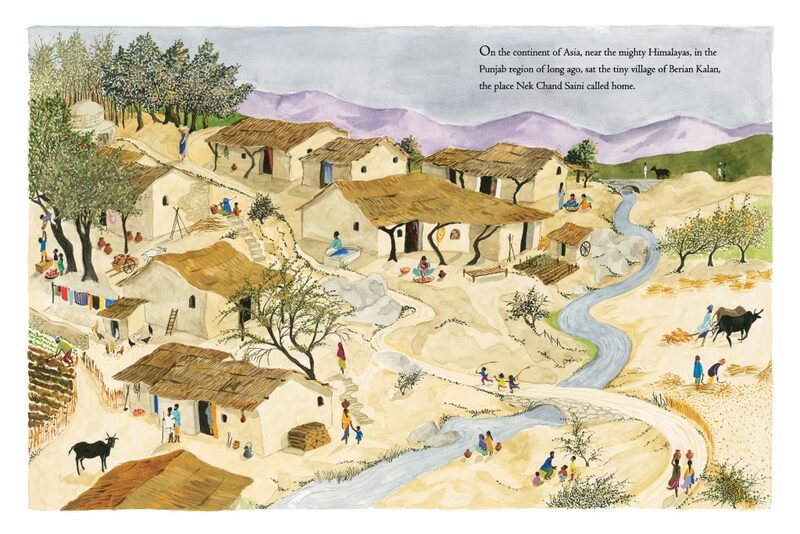 Nivola’s watercolor and gouache illustrations show the stark contrast between the colorful village of Chand’s childhood and his life in the city, where variations of beige reign. THE SECRET KINGDOM. Text copyright © 2018 by Barb Rosenstock. Illustrations copyright © 2018 by Claire A. Nivola. 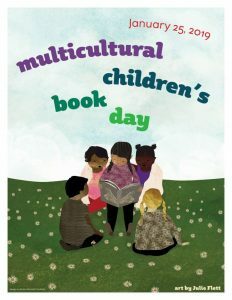 Reproduced by permission of the publisher, Candlewick Press, Somerville, MA. Chand feels he doesn’t belong in the city, but then, he claims a patch of unused jungle on the outskirts of town. 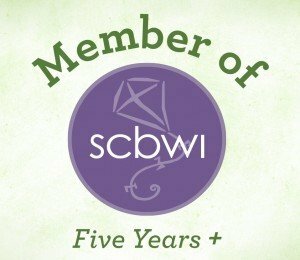 Over many years, using found objects and half-dead plants, he builds a secret kingdom of walkways, sculptures, arches, flowering plants, and trees. It’s a place where stories come to life, where castaway items are reborn, and where Chand, at last, belongs. Though his garden comes to cover many acres, Chand’s creation remains a secret for 15 years. When it’s finally discovered, government forces threaten demolition, but the people of Chandigarh step in. Chand’s secret kingdom comes to be known as “The Rock Garden of Chandigarh” and, to this day, draws visitors in the thousands from all over the world. Rosenstock’s text paints a vivid picture of Chand’s life in India as he battles “clouds of mosquitoes and slithering cobras,” walks past “plowmen singing behind oxen” and gathers “broken glass bangles in red, blue, and green.” With the added visual of Nivola’s illustrations, this story of a man who, quietly and with determination, created the world he imagined–simply because it brought him joy–truly comes to life. 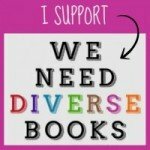 Read a review of Barb Rosenstock’s The Noisy Paintbox here.